Sci-fi author Kevin J. Anderson is a huge Rush fan and has drawn inspiration from Rush for a number of his writings. His 1988 Rush-inspired novel Ressurection, Inc. drew the attention of Neil Peart and the 2 have been friends ever since, even collaborating on the 1994 short story Drumbeats. Neil also wrote the introduction to Anderson's 2006 short story compilation Landscapes. Anderson just announced via his Facebook page the incredibly awesome news that he will be writing a novelization of Rush's upcoming Clockwork Angels album! After dropping hints for a while, finally the big announcement, a new project unlike any other I�ve ever done�and something that I consider very cool. Most of you are aware of my long-standing friendship with Neil Peart, the drummer and lyricist from the legendary rock band Rush, as well as how much Rush has influenced my work. My first novel Resurrection, Inc. was closely inspired by the Rush album �Grace Under Pressure,� and I can point to dozens of other novels and stories that bear a clear Rush influence. 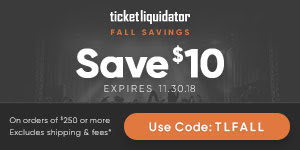 For more than twenty years, Neil and I have wanted to collaborate on something MAJOR, a way we could tie together our imaginations, and at last that�s happening. I�m writing the novelization of Rush's forthcoming album Clockwork Angels, their first new CD in five years. Imagine if someone had written the novel of The Wall, Tommy, or Sgt. Pepper�s Lonely Hearts Club Band when those classic albums were released. 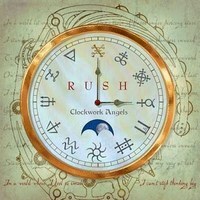 For Rush fans, CLOCKWORK ANGELS is that project. I worked together with Neil to flesh out the epic story told over the course of the music, as well as the artist Hugh Syme whose paintings fill the CD booklet. In a young man�s quest to follow his dreams, he is caught between the grandiose forces of order and chaos. He travels across a lavish and colorful world of steampunk and alchemy, with lost cities, pirates, anarchists, exotic carnivals, and a rigid Watchmaker who imposes precision on every aspect of daily life. To whet your appetite, Rush released the first two tracks, �Caravan� and �BU2B��listen to those songs to get an idea of the story�s beginning. Wow. Thanks to Richard S for the heads up.